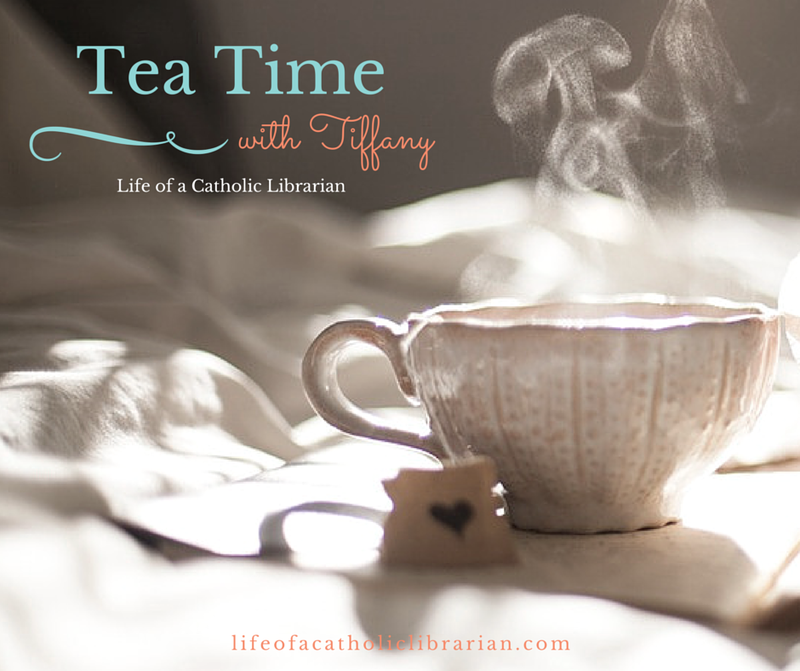 Life of a Catholic Librarian: Tea Time for Advent 2017 - Episode 4! Wow, that went fast! It's our final episode for Advent 2017! Today I gab about the missing 4th Sunday of Advent :0, how it's suddenly a dance gig bonanza for New Year's Eve, and of course the conclusion of our Advent 2017 Book Club! Author's web page with the chronology of the Elm Creek Quilts series. What are you thoughts on Chapters 4 and 5?! 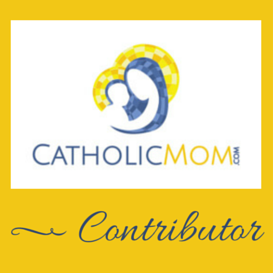 What would you like to see in 2018 on the blog and on the podcast? I'm very thankful for this Advent Book Club because, normally, I wouldn't have read a book like "The Christmas Quilt" and I really enjoyed it a lot. Although sad that Sylvia and Claudia never had a chance to reconcile in life, I loved how Sylvia interprets all the happy coincidences at the end (Sarah & Matt choosing the same tree she and James had picked many years ago, finding the missing star, learning about Elizabeth's letter) as a sign that Claudia has forgiven her. I do the same thing -- seeing little signs from God everywhere -- so that part really struck home with me. Regarding the star, I totally agree with you that the explanation was hard to understand. I guessed last week that Andrew had taken the star as a Christmas gift for his sister, so maybe that was the reason? But the book definitely doesn't make it clear either way. Kevin! So glad you're here. :0 I meant to come back to the signs at the end that you mention (because I alluded to it with my confusion over the tree), and then totally forgot, lol! So excellent point made here, sir! Glad I wasn't the only one confused about the star, too. Ooooo, The New Year's Quilt! There's a big spoiler right at the beginning. Send me a Tweet when you get to it, lol! Hope I can remember the ending now! Have already started on The New Year's Quilt. I did feel a little 'cheated' at the star turning up in Agnes' possession with the mysterious note from Andrew. Unlike other opinions, I'm not sure that Andrew took the star for his sister. The author made note of it being repaired at some point - what if Andrew found the star, accidentally broke it, repaired it and then didn't want to jeopardize his standing with the family - and all the bonus things he so desperately needed - by admitting it then. Perhaps years later he gave it to Richard and told him the whole story? And I hope that in one of the other books the full story comes to light - maybe in the New Years' Quilt??? :) I'd read it before and kind of remembered the twist . . . I really enjoyed the ending of The Christmas Quilt - Sarah and Matt finding the same tree, the strudel coming home again from Agnes' baking, the star - although I find it odd that she and Claudia never discussed the star and she said, "oh, that's funny - now you mention it . . ." but hey, writers have to have lapses at some times. Altogether a satisfying, good feeling read. And I HOPE that google does NOT eat my reply. Donna Alice again . . .
Hi Donna Alice! Great thoughts on the final chapters! I'm reading The New Year's Quilt now too, and enjoying it very much! We all got very into the mystery of the star, lol. I do wish we had gotten more clarification on that, but maybe other books will provide it. Since we know that Andrew survived the war, perhaps we will! I got sucked into Christmas crafting (both knitting and sewing) and didn't have time to finish the book before Christmas. Therefore I didn't listen to the podcast either. I've finished the book now and listen to the podcast. I enjoyed the book and am glad we read it here since I've been curious about them for a long time. I really liked all the coincidences at the end and was glad the star reappeared. We were all hunting for it just like the little kids on Christmas. I agree with Donna Alice that Andrew found and accidentally broke the star and was afraid to admit it. Christmas Eve Mass at my parish can be packed to. The children's Mass is standing room only and you should show up about an hour early to get a seat. You can get away with 30 minutes early if someone is saving you a seat. We went to 7 pm Mass which isn't crowded. We didn't show up much earlier than we do for Sunday Mass and had no problem getting seats. I've heard 10 pm Mass is crowded as well but have never been.